While traveling the world, special areas will appear on maps that allow the adventurer to journey into dark and mysterious locals to face fearsome monsters and foes! These unique areas are instance dungeons called Mission Maps that can be challenged by you or with a party of brave heroes. Great rewards await those who are up to the challenge of these missions! Are you ready to take on this task? A mission map normally consists of one or more stages that contain monsters that must be defeated before moving on to the next stage. After all the stages have been conquered, a boss stage must be challenged before finally completing the mission. 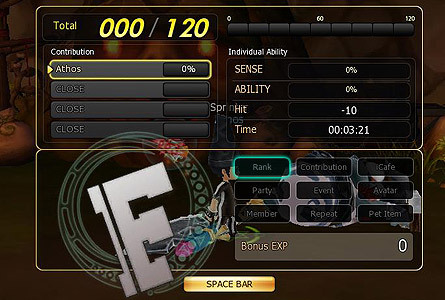 Based on your performance, a special grade is awarded after the defeat of the boss. The better the grade is, the better the reward will be! Mission maps are typically found on most Field Maps. Some maps may have several mission maps that you may challenge. In order to see if a Field Map contains a Mission Map, simply open the mini-map (N key). On the mini-map, search for a Padlock symbol. These represent the entrances to the Mission Maps. After locating a Mission Map entrance on the mini-map, navigate through the Field Map until you can see the entrance. Move the character into the entrance and press the 'Z key' to open the Mission Map menu. Select the desired difficulty and enter the Mission Map! 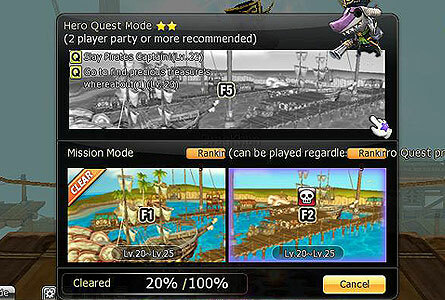 Mission maps typically contain several difficulties for any adventurer to challenge. There are four levels of difficulty within the Mission Map offerings. 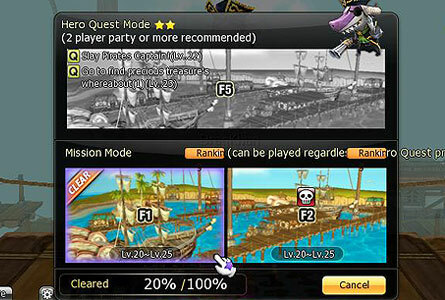 Each mission map are rated from 1 to 4 stars, where 1 being the least difficult. In order to access the higher level difficulties, the previous mission must have been completed before moving on to the next. When a map is highlighted in color, the Mission Map is available for any adventurer to challenge. With each difficulty come more monsters and bigger rewards. 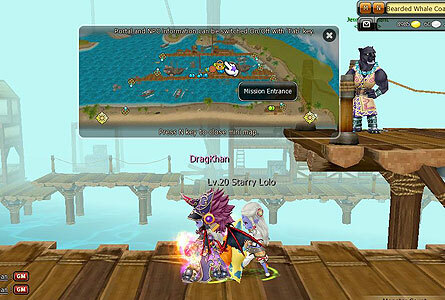 As each mission is cleared monsters will become harder in the next mission. This also applies to the boss at the end of each Mission Map. As you complete more quests within the Hero quest, a more in depth story will be revealed with each part of the Hero Quest you complete. When a mission map is completed a ranking is based on the performance while in the mission itself. A gauge located at the bottom right of the screen indicates your current ranking. This gauge fills up when basic attacks and combos are utilized when fighting the monsters on that mission. With more people in your party, this gauge can fill up much more quickly. This gauge fills up when one of three special attacks are performed. These attacks are the Over Hit, Back Attack, and Counter. a. 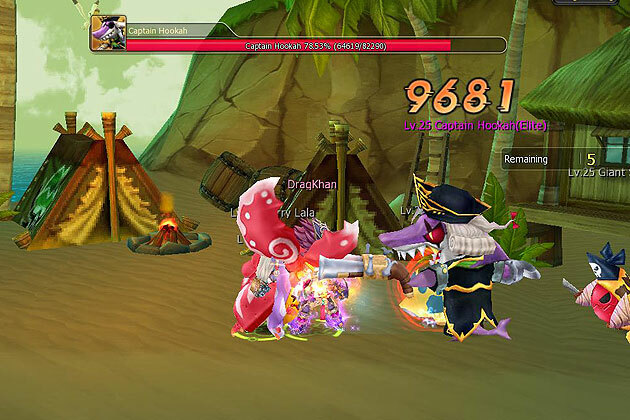 An Over Hit is any damage dealt to a single monster that is great than 60% of the target monster's total HP. b. 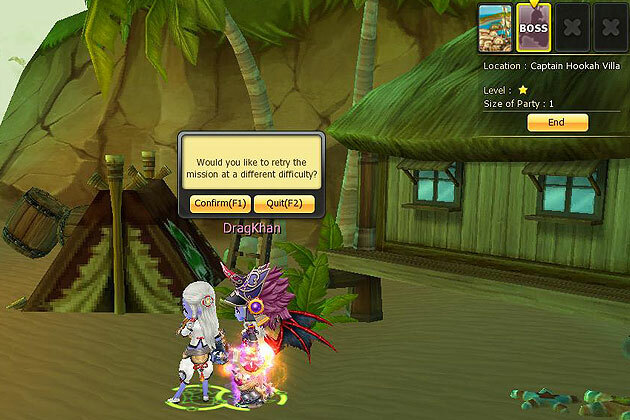 A Back Attack is an attack that hits the monster when it is not facing the character directly. c. A Counter is a massive final blow dealt to a monster by using a skill that deals damage. This will only count to the gauge if the monster is within 10 levels of the user. This gauge is the combined total of the Sense and Ability Gauge which sets the current ranking of your performance. Upon completion of a mission map a rank and score is issued. A menu with a summary of your performance is displayed. Each time a mission is completed, based on your overall score, you could be placed on the Leaderboard for that mission. This leaderboard shows the top players who have passed through this mission and how well they did. After the completion of a mission map you can see the rank of other players who have also gone through this mission. Click on the 'Rank' button located at the top right hand of the screen after the mission summary has been shown. This list will rank the top ten players within that level range accomplishing that mission. 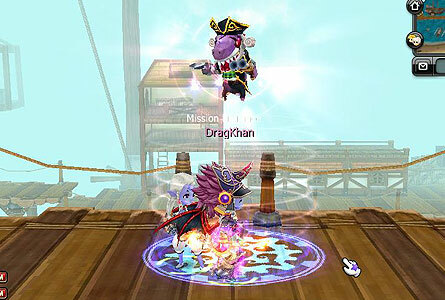 Additional rewards will be given out to users who attain high scores within the mission. If you score high, the chances of possibly getting 4 bonus items is higher. You can also use coins to redeem them for an additional item. 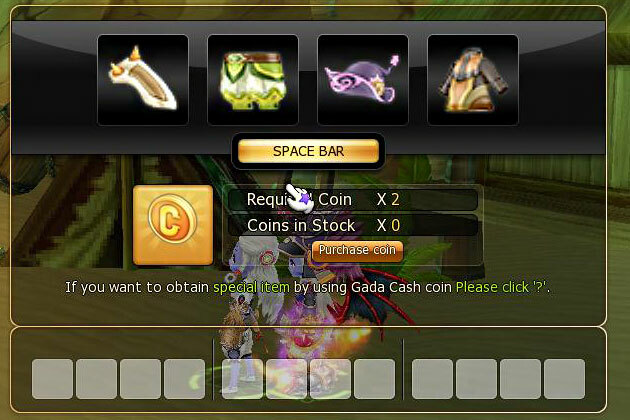 Coins can be obtained by many means in-game and through the Item Mall. Along with the additional items that can be obtained through completing missions, Money Packs are also awarded based on the Rank achieved. Achievements are awarded to any Hero that fulfills the achievement's requirements. 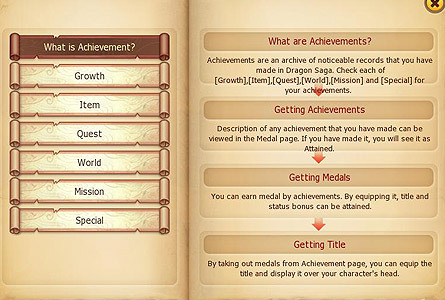 When achievements are obtained, they can be found in the Journal (J key) or clicking the Journal button on the bottom right corner of the screen. Achievements allow you to show the world the great deeds you've accomplished! The achievement itself is recorded in your journal. 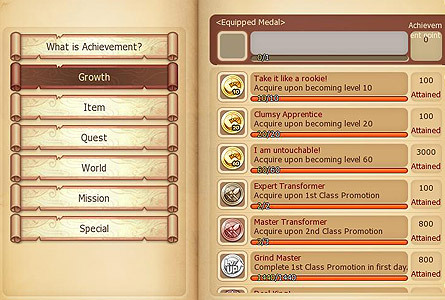 Along with achievements, medals also become available when you fulfill the requirements for the medal. When using a medal, a title is assigned to the character. Titles appear above the character and sometimes even grant bonuses! To use a medal, open the Journal (J key) and select the Medals Tab. Choose a medal you would like to use and double click the medal to apply the title. As rewards from Monster Count Reward chests, Specific Quests, and Hunter Capsules, Mission Map cards are very unique. When one of these cards are used, it instantly teleports you to the entrance of the Mission Map that the card was designed for.